The Office Connexion is now a Commercial Mail Receiving Agency. The Houston-based coworking and business development center has partnered with STAYWITH.IT to become the exclusive Houston area provider of the company's mailbox service web application. June 28, 2012 - PRLog -- The Office Connexion is now a USPS Commercial Mail Receiving Agency. The Houston-based coworking and business development center has partnered with STAYWITH.IT to become the Houston area provider of the company's mailbox service web application for physical mail. This virtual mail service makes it easier for anyone needing a professional business address, like entrepreneurs and small business owners, to manage their mail. Rather than using a post office box or home address, this new service will assign customers their own suite number, allow mail tracking and provide access to view incoming paper mail online or on their phone. Customers are notified by email of all incoming mail and packages. They can then login to their personal dashboard to manage their mail. The web application allows them to see who the mail is from and then instruct the service provider to hold mail for pick up, scan it, shred it, or forward it to another address. The Office Connexion offers four plans starting at $39 a month and some plans include access to office and meeting space. The Office Connexion is a membership-based coworking and business development center in near-northwest Houston. The Office Connexion provides an affordable alternative to working at home or meeting clients in a coffee shop. Members have access to workspace, meeting rooms, wireless internet and other corporate type amenities as well as the opportunity to network with other entrepreneurs. STAYWITH.IT web and mobile applications make it easier coworking spaces to receive, manage and forward mail to their customers. It provides a value-added service that coworking centers can offer current and prospective members. 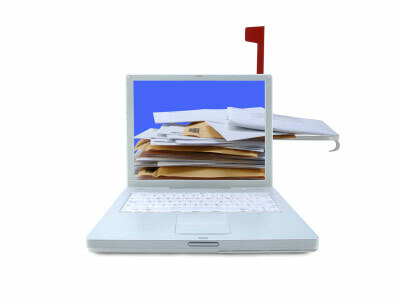 For more information about mail management services at The Office Connexion visit http://mymail.theofficeconnexion.com.